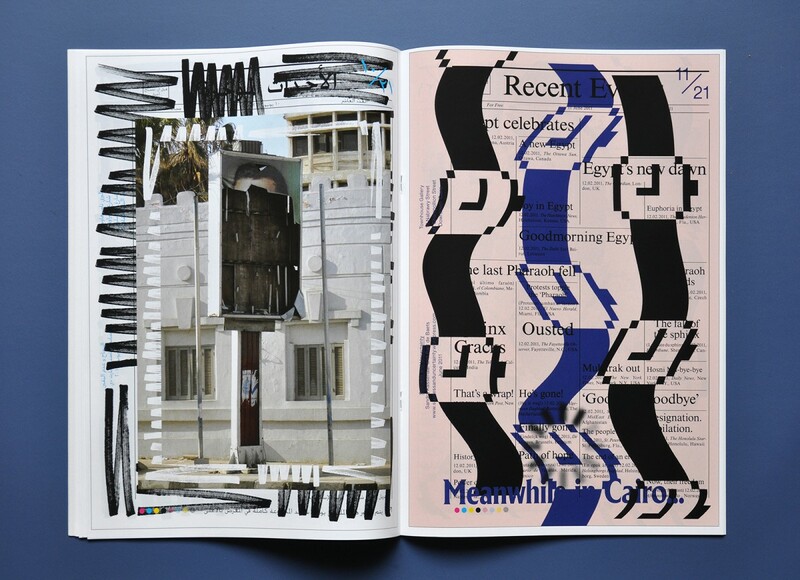 MacGuffin Magazine, Success and Uncertainty, A Speculative History of Dutch Fashion, Collected by ..., Precious, Marres Projects – Wanderbuch, Edward Clydesdale Thomson, Walls That Teach, Kunsthuis SYB, Sicco Mansholt – Een Goede Europeaan, Malkit Shoshan, Wat Nu Koetsier? 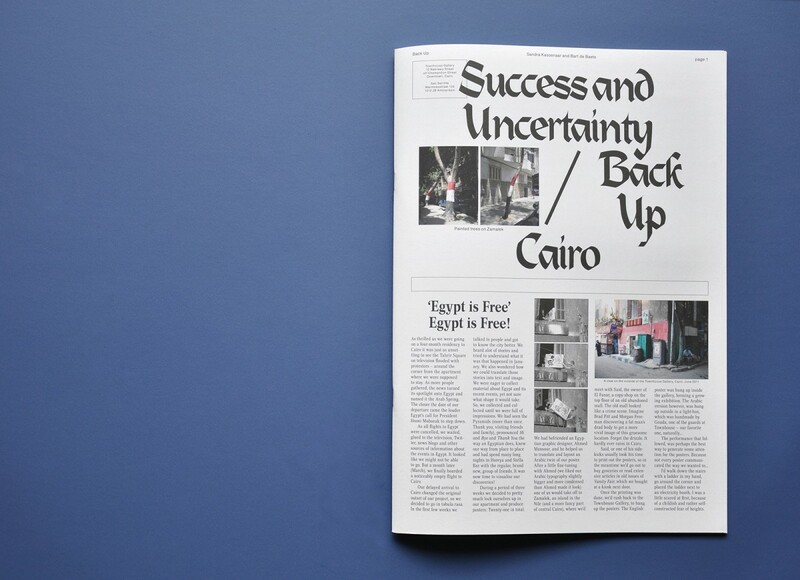 During an Artist in Residency at the Townhouse Gallery in Cairo, Egypt in the spring of 2011, we, Sandra Kassenaar and Bart de Baets, collaborated on a poster series titled Success and Uncertainty. 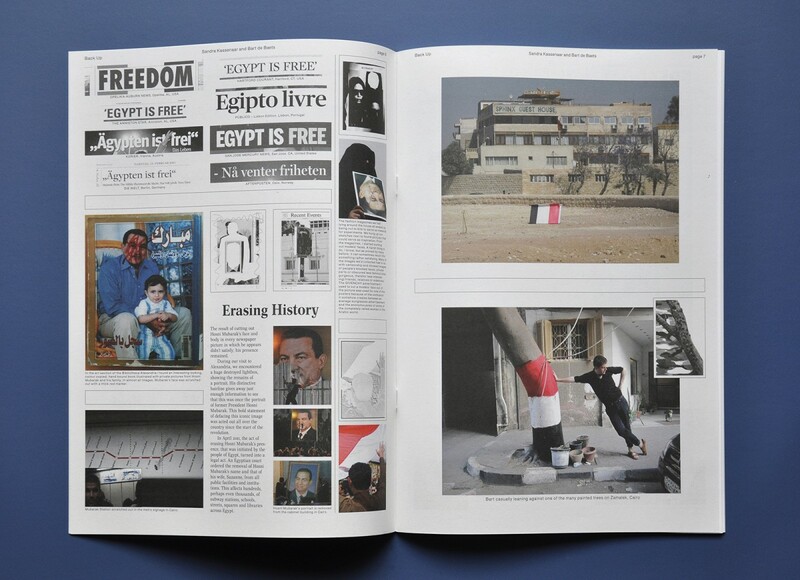 A month prior to our arrival, the then president Hosni Mubarak had resigned, and the country was in a state of euphoria – celebrating the dictator’s departure on Tahrir Square. 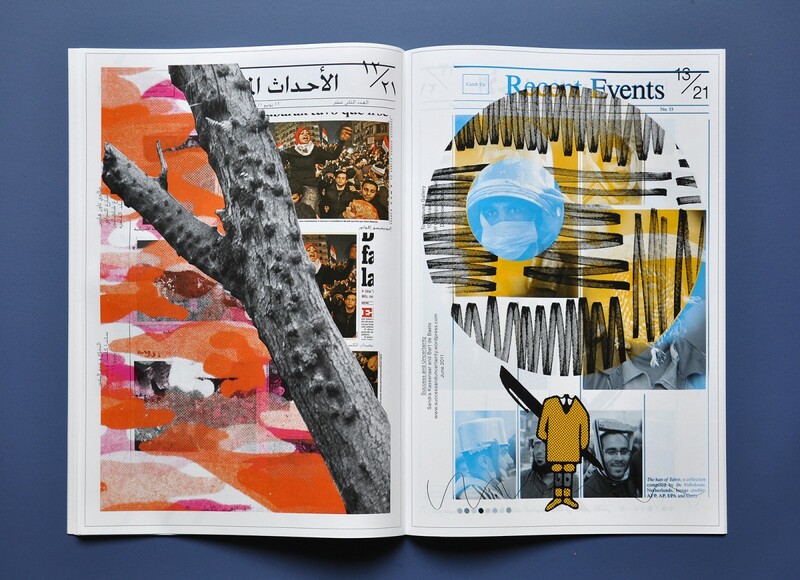 This politically unstable time complicated positioning ourselves, being right in the middle of it all. 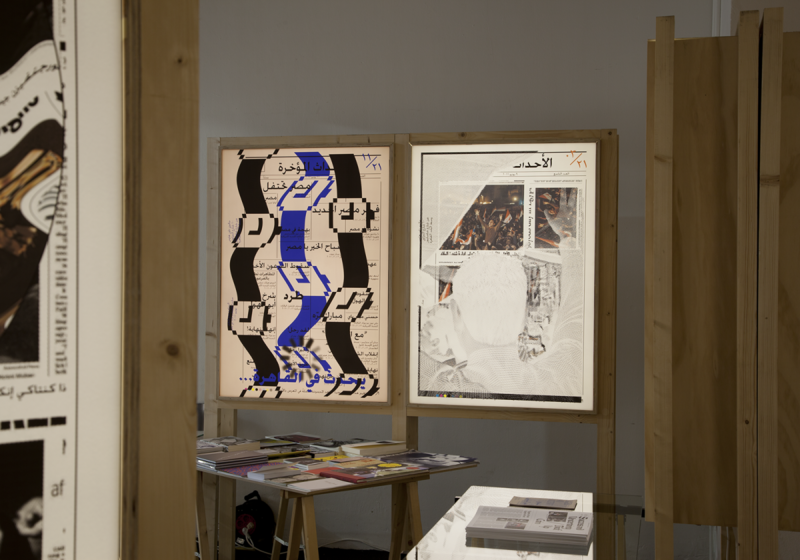 Every day, over a period of three weeks, we designed and displayed a poster – in Arabic – in a light-box at the entrance of the Townhouse Gallery, which reflected on recent events from the city. 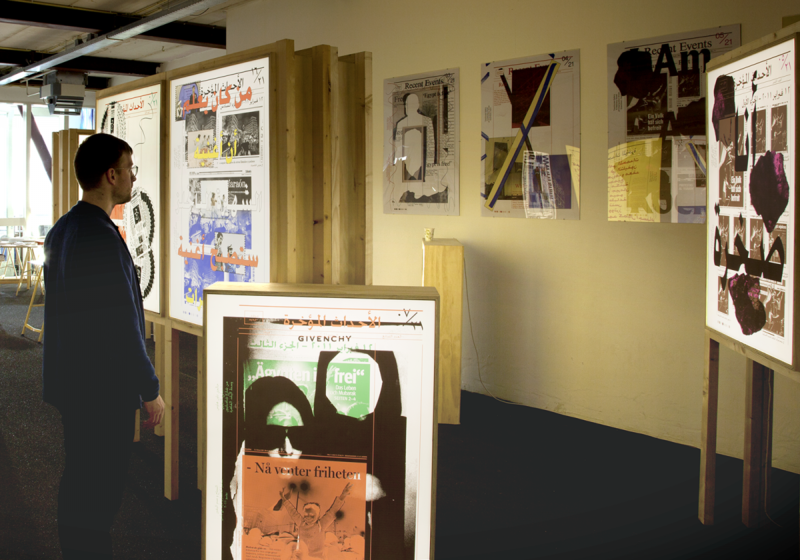 An English version of the poster was on display inside the gallery, where the collection grew larger every day. 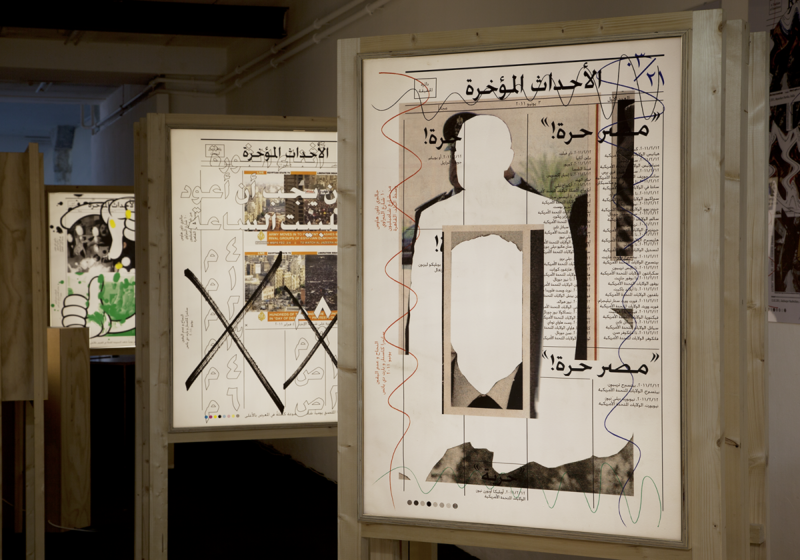 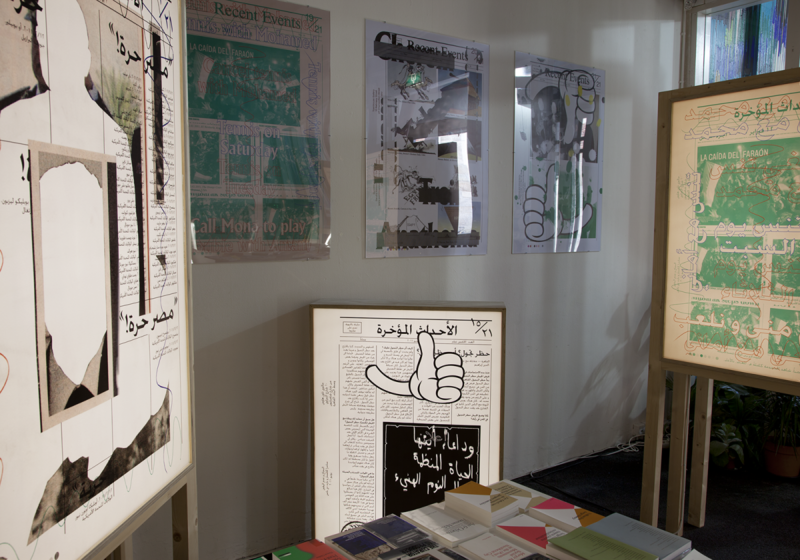 The posters were composed of politically charged discussions, interviews with locals, international comments on the revolution, symbols of the people’s movement, observations of daily life, as well as gossip in Cairo. 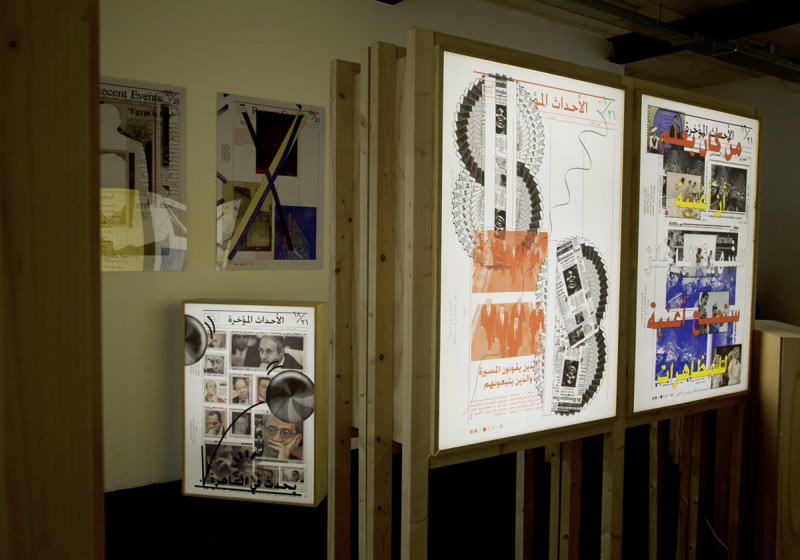 Soon, the posters caused discussions among the locals which fed the next day’s design. 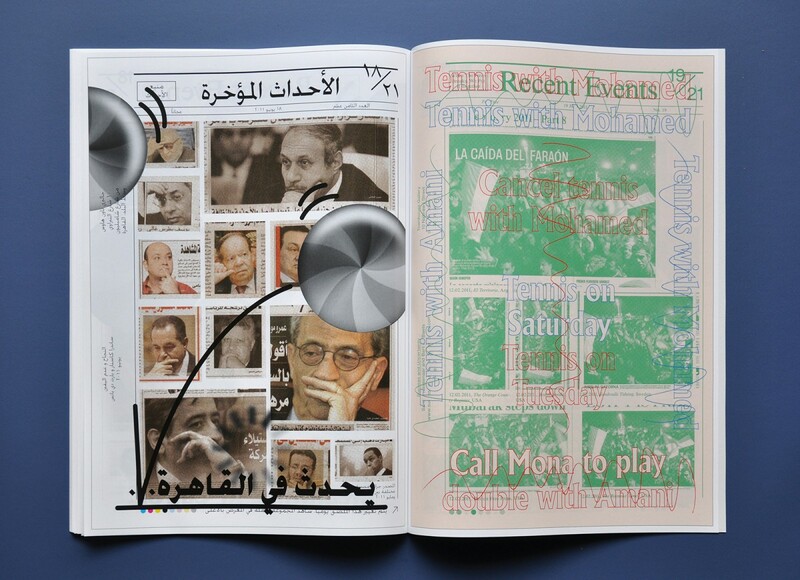 It had been our intention to make a publication with the work, but it wasn’t until the spring of 2012 that we did so. 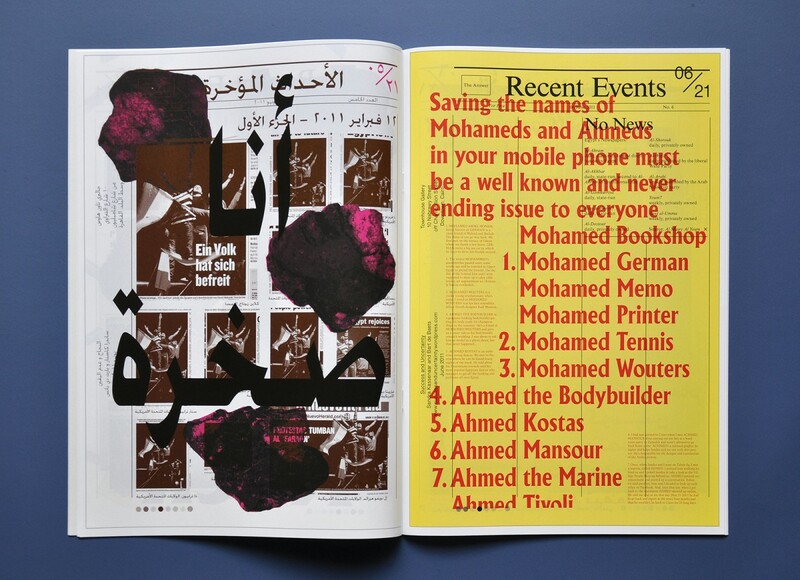 The Amsterdam based art book shop San Serriffe – back then keeping shop in the front space of W139 – was where we showed all posters in large light-boxes and presented Success and Uncertainty – Back Up, a modest publication providing the work with a more elaborate context.